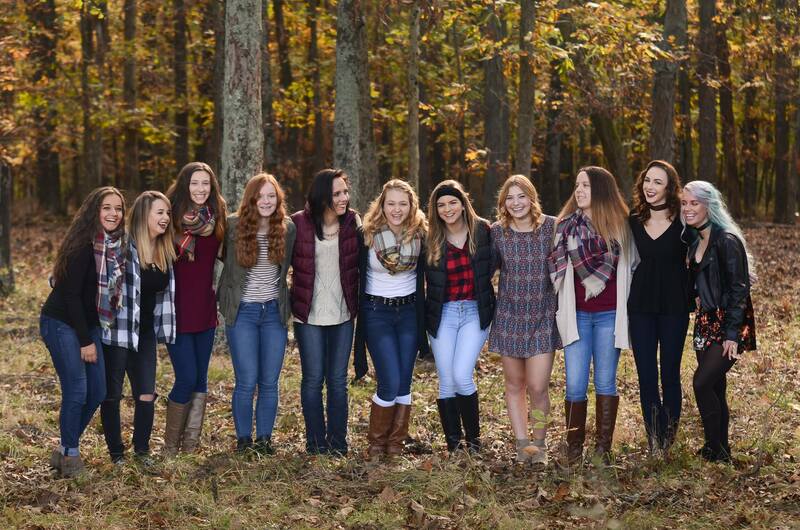 What is the Chelsea Rae Photography Style Squad? Style Squad members are exclusively chosen representatives of Chelsea Rae Photography who are friendly, confident, positive, social, and outgoing! They are chosen, not by looks, but instead by how many of the previous personality traits they possess. What does the Style Squad do? The Style Squad will participate in 4 styled group shoots. Members will learn to feel comfortable in front of the camera, build their self confidence, and let their personality shine. As an added bonus, I hope to encourage my team to build long lasting friendships and inspire each other to reach for their goals. There is a one-time fee of $150 to become a Style Squad member for Chelsea Rae Photography. This fee ensures that those who join the team are serious about their job and representing Chelsea Rae Photography. It will also help Chelsea cover any costs from styled shoots throughout the year. Style Squad members must respect my copyright. Any misuse of my copyrighted images such as scanning, printing, editing, removing of my logo, or cropping out my name from the images will result in an immediate termination of Style Squad membership and forfeiture of all credits, incentives, and deposits. What do you get when you score a referral? For every referral a Style Squad member earns, they’ll receive 100 points! Referrals are associated to each member by the use of their own custom coupon (referral card mentioned above). Referrals must show their coupon, at the time of booking, to count as a referral. Referrals do not count as a referral until they have booked and paid for a full-length (not applicable for sessions less than one hour) session with Chelsea Rae Photography. Referrals/rewards will continue until May 31st, 2019. Style Squad members will be rewarded for their referrals via a point system. Below is a breakdown of how the system is structured. If you are from the Class of 2020, 2021, or 2022 and love to spread positivity, you qualify! Just fill out the application form below! Once all the applications are in, they will all be thoroughly reviewed and a select few will be chosen to represent Chelsea Rae Photography. I am only accepting applications until Wednesday, June 13th, 2018, so get your application in ASAP! Good luck and thanks for your interest in the Chelsea Rae Photography Style Squad! Share This Blog Post, Choose Your Platform!